Jackie Curtis was a transgendered film star, poet and playwright. 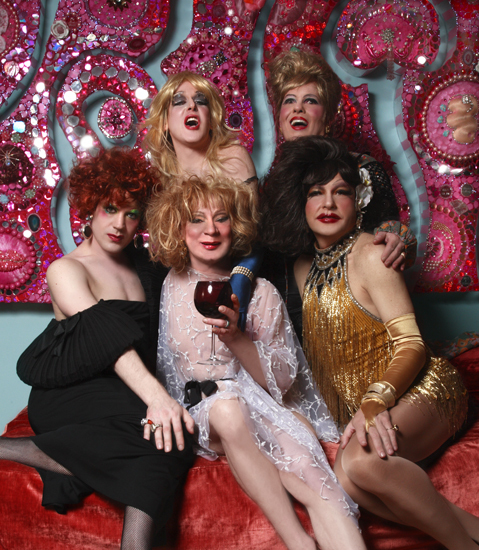 “Jackie Curtis is not a drag queen. Jackie is an artist. 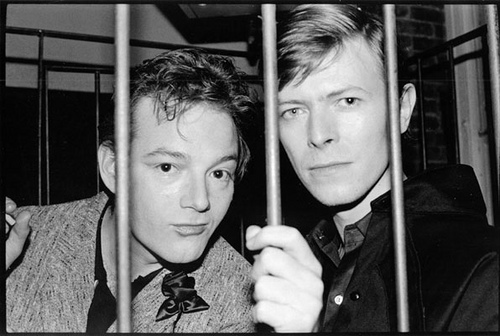 A pioneer without a frontier”, Andy Warhol said of his associate. 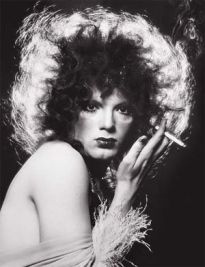 One of her plays was Glamour, Glory and Gold, which also starred Candy Darling, Melba LaRose and Robert De Niro in his first appearance on stage. Apart from acting, Curtis also wrote poetry and sang. The poem, B-Girls, much of which is based on his observations of people who visited Curtis’ grandmother’s Bowery bar, Slugger Anns, led to his inclusion in the 1979 book, The Poets’ Encyclopedia. ‘I’m not a boy, not a girl,” Curtis maintained. ”I am not gay, I am not straight, I am not a drag queen, I am not a transvestite, I am Jackie.” Tall and athletically built, he didn’t try to act especially feminine when dressed as a woman, and he repeatedly affected a macho image modeled after James Dean. 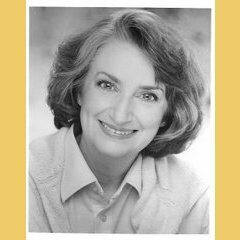 Her friend and actress Melba LaRose went on to become the Artistic Director of NY Artists Unlimited,*** a non-profit theatre company that brings professional theatre productions to under-served audiences. In this entertaining interview she recalls the days of Glamour, Glory and Gold. Dan Sullivan said I was “Jean Harlow down to the leaden voice and incipient pot belly.” And Candy was reviewed as a woman: “This is the first impersonation of a female impersonator I have ever seen.” It wasn’t until “Give My Regards to Off-Off-Broadway” that anybody knew Candy was a man. ***NY ARTISTS UNLIMITED is dedicated to taking professional theatre to under-served audiences. The company focuses on works that evoke dignity of the individual and sanctity of the human spirit. A multicultural nonprofit touring company, we travel self-contained to NY’s inner city neighborhoods as well as to remote regions of the Northeast. Audiences are composed of people who, because of economics, geographical location, disability, age, and the like, cannot afford tickets or gain access to thought-provoking entertainment. …… and I’m still listening to Lou Reed after all the years that have passed …… I think I must be lazy. There were a couple of people at college who tried to emulate Jackie ……. And yayayay for NY ARTISTS UNLIMITED, we need more groups like that in the world. Yeah, I hadn’t heard of them before but it’s such an inspired idea isn’t it? You always find such fascinating material to write about !!! I want to get drunk at Slugger Ann’s and dance with her to Lou Reed’s music. Can you believe “Walk on the Wild Side” was a big, mainstream hit?! The most unlikely of songs. My guess is most people didn’t really know what it was about. I’ve been to several drag shows here in NY. Most of them don’t look as good as Jackie, but they all have spirit. Wow the link to NY Artists Unlimited leads to a scary pic of Melba La Rose. Great story – as usual! I had a big pleasure to discovered Jackie! Slugger Ann’s may be the coolest name of a bar ever. This was a fascinating post! No I haven’t, Edie’s story was pretty tragic, such a waste of a young life. Did you like the film? I thought that was a photo of Boy George with some extra junk in his trunk. Great backstory on that song. I just thought Jackie was a made up name for the song. 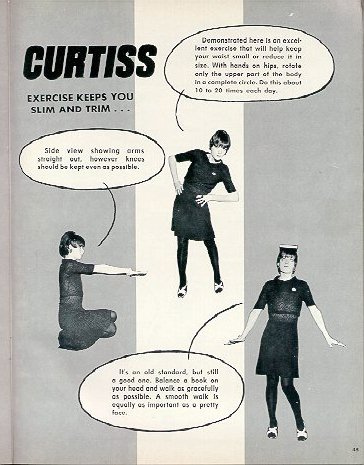 Always remember when doing your Curtiss exercises to wear a full dress and tights. Just because you’re exercising doesn’t mean you can’t be prepared if a county dance suddenly breaks out. Ooh, I like this Jackie. I had no idea who Jackie was in that song. Yet another curious biography, and every one of them interesting. …off topic Nurse I know, but did you that “Norwich” when tacked on to the end of a lonely man’s letter meant “nickers off ready when I come home” ? No, I didn’t. How very strange….. I learn so much from you.. I know this stuff will come in handy with my next job. I love people like this . .
what is inside of them. even if it sounds too much like a stage name. i can’t believe you went from pregnant to mother in less than four hours. i mean, i believe you, it just sounds incredible. some things have a mind of their own. i’m totally the opposite, anything in the oven comes out burned. i get busy and forget. Well I had been pregnant for 8 months prior to those 4 hours…. This screams of NYC in the 70s and early 80s and I bet I know some people that ran into her/him back in the day. The picture with Divine, nothing but trouble can come of that. Divine was another icon that John Waters used in a lot of his films. Intersting post nursie and I still love Lou Reed. Got a favourite Reed song?